Memory rock is a strange place that holds a strange sight. 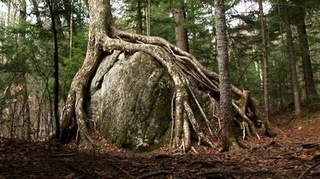 Memory rock is a massive rock covered by tree roots. Carved into the rock's surface are the names of wolves who have done great things, the Herod and the Legends. Pups are usually taken here to be told the stories behind the names.